With the proliferation of blogging, amateur experts and user generated content- has the investigative journalist become redundant? Venue: Building 4, Level 2. Lecture Theatre 34 (4.2.34) University Of Technology Sydney, 15 Broadway, Ultimo. RSVP: by email info@newmatilda.com or phone: 02 9211 1635 by Monday March 31. Speaking out through keeping mum at the Daily Tele. The Daily Telegraph has an interesting definition of "speaking out". Its report on the Lindsay leaflet debacle today claims the women at the heart of the incident "spoke out yesterday". There’s just one problem: both former Federal Liberal MP for Lindsay Jacky Kelly and former candidate Karen Chijoff said absolutely nothing. Kelly even went so far as to remind the Tele that she was no longer an MP and therefore wouldn’t be talking about her private life. Chijoff refused to say anything beyond what we already have known for months – that she is no longer with her husband. As for former NSW Liberal Party State Executive member and former Helen Coonan staffer Jeff Egan, he didn’t even return calls. Now that’s what I call speaking out! Challenging Janet (again). Janet Albrechtsen today continues with her obsessive monoculturalism, writing about stringent citizenship tests which the UK government has adopted, apparently following the Australian model. She doesn’t mention whether the tests will be multiple-choice and include questions about Don Bradman or English illegal immigrant Simpson and his donkey. She also mentions reports of Somali traditional courts in the UK deciding even criminal cases, as well as FGM. All this is mentioned in the context of Rowan Williams’ comments about sharia law. Is Albrechtsen claiming the Somali courts and the practise of FGM are religiously-based? If so, how does she explain that FGM is also prevalent amongst Christian, Jewish and Animist African communities? And why doesn’t she also mention the fact that American legal academic Noah Feldman mentioned in a recent essay for the New York Times Magazine i.e. that each time Dr Williams spoke about sharia, he specifically states his remarks applied equally to Jewish sacred law? Or does Janet think Jewish sacred law has no role in our Judeo-Christian heritage? COMMENT: Where the bloody hell's my police protection? Apparently over the Easter break, an Egyptian chap decided to convert to Roman Catholicism. His baptism was performed by the Pope. No, not the Egyptian Pope. Not His Holiness Pope Shenoudah III. Rather, by that other Pope. The one Shanudah’s followers regard as an imposter. 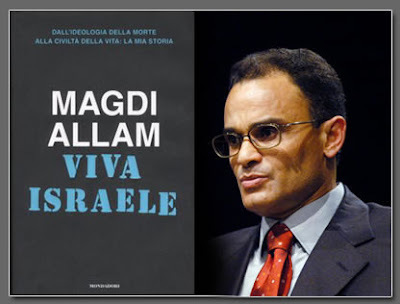 Magdi Allam, an Italian writer of Egyptian Muslim heritage, is now known as Christian Allam. He has made his declaration public and has proceeded to make claims about his ancestral faith that would make migration fraudster Ayaan Hirsi Magaan proud. ... has lived under police protection following threats against him, particularly after he criticised Iran's position on Israel. Without meaning to sound like the future wife of a future Australian cricket captain, I’d like to know where the bloody hell is my police protection. After all, I’ve publicly criticised Iran’s position on Israel on numerous occasions. The Iranian President's comments are more reminiscent of Crusader barbarism and ignorance than the moderation and tolerance of the great Saladdin. If Muslim nations follow the Iranian formula in their dealings with Israel, they will go down the same path of destruction as the medieval Frankish hordes that invaded the Holy Land. i've also written extensively on why the governments of Muslim-majority states should recognise Israel. 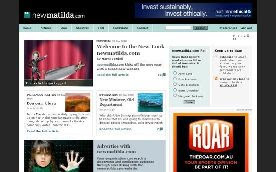 One such article was published in the New Zealand Herald on Thursday August 16 2007, and another was published recently on the ABC Unleashed portal on 20 March 2008. Still, it's no skin off my spiritual nose if Christian Allam wants to become a Catholic. No doubt many of his Christian countrymen will have wished he'd picked a more orthodox denomination. My old school chaplain, who frequently told us that the Beast 666 in the Book of Revelation referred to the Pope, will probably still regard Allam as anything but a Christian. People adopt and change religions all the time. It's a private decision. Mr Allam may claim that he will be the subject of death threats, but he certainly won't be getting any from me. Thus far, I haven't found a single report of a death threat against Mr Allam. Nor has there ben any substantial report of his conversion in any Muslim newspaper or major newspaper of a Muslim-majority state. Admittedly, I have only searched through the English langauge press. The vast bulk of the reporting and editorialising has been from far-Right and/or Muslim-phobic publications such as National Review Online and TownHall.com. It seems the violent responses from Muslims are a product of Allam's inflated view of his own importance and the active imaginations of cultural warriors. The fact is that many if not most Muslims would never heard of Allam until news spread of his conversion. Just as many of us had never heard of Usama bin Ladin until September 11. I wish Allam well. He is entitled to make his religious choices. No doubt if he were a true Catholic and a true Christian, he would show compassion to both his former and current co-religionists. 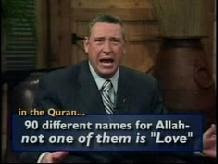 He will not allow his conversion to be used to spread racist and sectarian perversion. Nor will he play the extreme anti-religion rhetorical games of the likes of Ayaan Hirsi Magaan. The other day, a certain ABC Board Member shared with us her sympathy for those lefties who dared engage in ideological apostasy. Just one question: why does an artist - whether a playwright, a painter or a writer - have to subscribe to left-wing views to make good art? If your daily occupation is to emote as effusively as possible and your aim is making your audience feel some emotion or another, then rational analysis is simply not your strong point. Hence any collection of Australian artistes - think Cate Blanchett, Toni Collette, Judy Davis or David Williamson - resembles nothing so much as an old-time Fabian Society love-in. OK, I agree she may havee a point. Heck, who wants to be permanently wedged into some “old-time Fabian Society love-in”? It’s just that PJ would sound so much more convincing if she also acknowledged her own sides excesses in this regard. Or are we expected to believe that those living on or near Ms Albrechtsen's ideological planet would never be so mean to their apostates? Are Robert Manne and Malcolm Fraser just figments of our imagination? 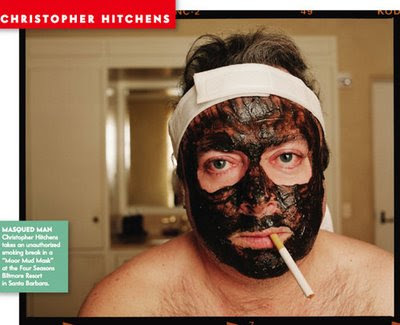 One ex-lefty that PJ and friends love to love is Christopher Hitchens. In the Opinion page of that American-owned newspaper known as The Australian, Hitchens reminds us of just why the Iraq war remains such a good idea. But I would nonetheless maintain that this incompetence doesn't condemn the enterprise wholesale. A much-wanted war criminal was put on public trial. The Kurdish and Shi'ite majority was rescued from the ever-present threat of a renewed genocide. A huge, hideous military and party apparatus, directed at internal repression and external aggression was (perhaps overhastily) dismantled. The largest wetlands in the region, habitat of the historic Marsh Arabs, have been largely recuperated. Huge fresh oilfields have been found, including in formerly oil-free Sunni provinces, and some important initial investment in them made. Elections have been held, and the outline of a federal system has been proposed as the only alternative to a) a sectarian despotism and b) a sectarian partition and fragmentation. Not unimportantly, a battlefield defeat has been inflicted on al-Qa'ida and its surrogates, who (not without some Baathist collaboration) had hoped to constitute the successor regime in a failed state and an imploded society. Further afield, a perfectly defensible case can be made that the Syrian Baathists would not have evacuated Lebanon, nor would the Gaddafi gang have turned over Libya's (much larger than anticipated) stock of WMD, if not for the ripple effect of the removal of the region's keystone dictatorship. None of these positive developments took place without a good deal of bungling and cruelty, and unintended consequences of their own. Allow me to summarise Hitchens' thesis: Yes, we put Saddam in power. Yes, we supported his invasion of Iran . Yes, yes, yes … BUT. Well, um, er … well it’s better we’re there in post-Saddam Iraq fighting those jihadis than say … um … well at least we had a mass debate about the invasion and then invaded. Hitchens' analysis of the Iraq war is little more than an exercise in trivialising the central and centralising the trivial. On the one hand, he says that it was important to make war on a nasty Arab socialist despot even if we put him there in the first place. On the other hand, our overthrowing Saddam has suddenly made other Arab socialist despots like Colonel Gaddafy-Duck so much easier to deal with. And yes, it’s true that Saddam was put on trial. But then, he was conveniently executed before all the evidence concerning his atrocities against the Kurds and other minorities, not to mention against Iran (and indeed the extent of US involvement in this), could be brought before the court. What would Hitchens want us to believe next? That the architect of the Iraq debacle, Paul Wolfowitz, is really just a bleeding heart? If this is the best that ex-lefty apostates can come up with, I say we shuttle them all off to Janet's Planet where they can have their own love-in. No doubt the men-folk there will all be hanging to the hard right. Believe it or not, my ancestors were Mongols. In fact, they were a fairly nasty crowd who conquered central Asia but couldn't quite conquer India until they inter-married with Turks and Persians. By that time, they had become bastardised into another race known as "Mughals". Anyway, we Mughals have law in the blood. My grand father was a criminal barrister in Delhi. But I now learn a movie is being made about one of my earlier ancestors and his exploits in and out of the courtroom. 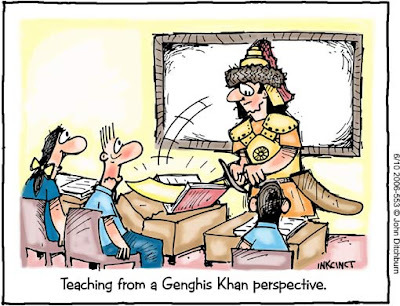 I'm just glad he never took up teaching! OK, I admit it. I'm a huge fan of that awesome singer and song writer Kate Ceberano. But there's another Kate who is not as well-known but who certainly deserves a mention. For a short time only, you can click here to listen to and download a wonderful acoustic track from Kate Grealy. 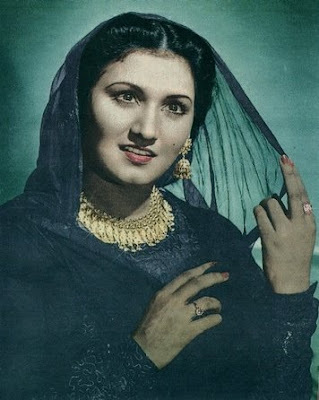 Interestingly, much of Kate's music is inspired by her travels through the Balochistan province of Pakistan. You can read more about her experiences at her blog which can be found here. 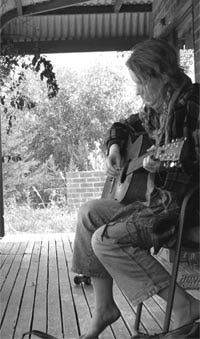 Kate is a local of that gorgeous border town Albury, and has been writing songs since she was 16. I haven't seen a white Christmas for years. Then again, I haven't held a handful of snow for quite sometime either. The last time I saw snow was during a flight from Christchurch to Sydney. Our Pacific Blue jet took us over some mountains (real mountains, not the Claytons mountains we have in Australia), whose peaks were snow-covered. Or was that just cloud? Anyway, some far-Right fruitloops in the United States are warning of a nasty winter about to hit Europe. Apparently Europeans are being out-bred by nasty aliens of Middle Eastern appearance. It's the kind of thing that would scared the living be-jesus out of at least one irrelevant Federal Liberal back-bencher. And according to the in-breds of American Christian conservatism, the fault isn't that of the nasty "Mozlems" or "Ayrabs". Rather, the Europeans are too much into that nasty decadent women's rights, abortion and homosexuality stuff. Salon writer Catherine Price cites a number of these conservatives as suggesting the only solution is to virtually force good European Christian women to have more babies. The feared result would be a "demographic winter" where, to put it bluntly, Europe would run out of white people. By not having enough children, these doomsayers say, Western civilization is "laying itself down to die." The solution is to take a leaf out of the cultural books of so many cultures practised by Muslim migrants. That means adopting socially conservative family values even if it means potentially curtailing gender rights. So the best way for us to beat those misogynistic "Mozlems" is to behave more like them. Or rather, to behave more like how we stereotype them. ... American religious conservatives are trying to convince European secularists that to solve some of their demographic woes, they might want to rethink their position on women's rights. As author Kathryn Joyce explains, "The real root of racial tensions in the Netherlands and France, America's culture warriors tell anxious Europeans, isn't ineffective methods of assimilating new citizens but, rather, decades of 'anti-family' permissiveness - contraception, abortion, divorce, population control, women's liberation and careers, 'selfish' secularism and gay rights - enabling 'decadent' white couples to neglect their reproductive duties." They have, she explains, defied the biblical command to "be fruitful and multiply." In other words, if those bloody "Mozlems" are going to have lots of babies, we should start doing the same. Which all sounds good and fine except for one minor point. 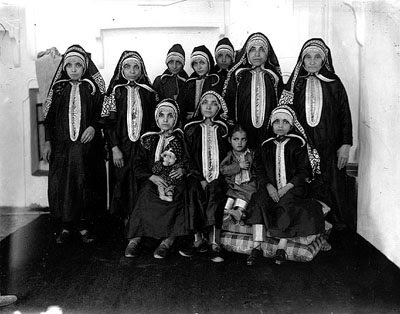 As Muslim migrants move into their second and third generation, they tend to adopt the reproductive practices of their fellow Europeans. After all, they share the same economic, social and cultural conditions as their fellow citizens. That means you won't be seeing a 3rd generation British Muslim lawyer or merchant banker in London having more kids than, say, a 3rd generation Irish Catholic lawyer of merchant banker in London. ... when Italy offered "baby bonuses" to families who had a second child, it revealed its racial motivations when it asked for refunds from immigrant families who had been accidentally issued checks (those weren't the types of kids the government was trying to promote). If I were an immigrant in Italy, I don't think that policy would make me feel too warm toward mainstream Italian society. The emphasis in this quotation is Price's not mine. You can watch a short clip of The Nation story here. In this world, there are only two classes of people: those with lots of religion but not much sense, and those with lots of sense but not much religion. Forget about actually being one. It's bad enough if your dad is one or if you even have a name that makes you sound like one. 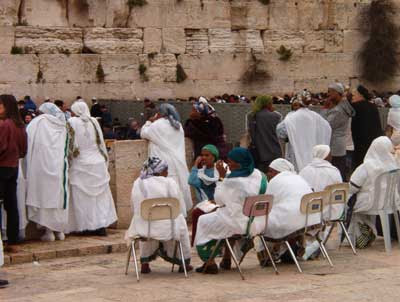 There was a time when European Jews used to flock to the lands of this "one" to seek protection. Today, some of their descendants are actively involved in drumming up venom and hatred toward any person deemed to have even the most tenuous link to "one". Under the heading "But did you know he's a Muslim? ", Haaretz columnist Bradley Burston talks about the resistance Democratic Presidential nominee Barack Obama is having in Jewish circles both in the United States and Israel. Some cynics would argue: "Well, what do you expect? 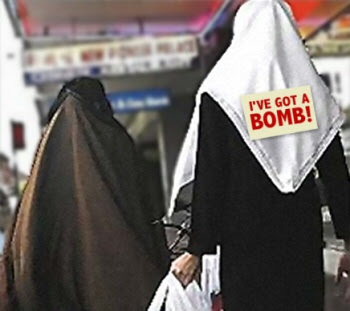 Those blasted Moslems are blowing themselves up in cafes in Tel Aviv and in Yeshivas in Jerusalem". Yep, just like some Muslims tell me: "Irfan, why do you bother with them Jews? After all, they are the ones spreading hatred and venom against us through their columnists and think tanks and lobbyists". But should I presume that all Jews are as hate-filled as Daniel Pipes or "Mad Mel" Phillips? Or that all Jewish organisations would sponsor and promote speaking and lecturing tours by Raphael Israeli? Where do I find the Muslimphobia in George Soros? Or in Sven Alkalaj? 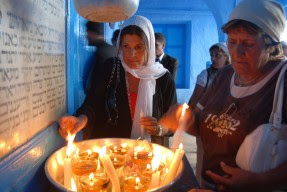 Not all Jews hate or despise or even resent Muslims, nor vice versa. But the Obama effort to secure the Democratic nominee is exposing some really ugly shades of opinion within Jewish circles that were not as apparent or widespread during Congressman Keith Ellison's entry to Congress. A couple of Israelis I've spoken with - very smart, well-educated, thoughtful Israelis - told me that yesterday. I was a little taken aback, but why should I be surprised, when Americans tell me that all the time? ... [Levine] has never seen the likes of the ongoing mass e-mail campaigns, which have leveled a succession of allegations against Obama, branding the senator a secret anti-Semite, a closet Muslim who took his official oath of office with his hand on the Koran instead of the Bible, and a disciple of fiery Nation of Islam leader Louis Farrakhan, further alleging that several of Obama's Mideast policy advisors are pro-Palestinian haters of Israel. So Obama might have ties to Islam. So his father and step-father may have been Muslim. 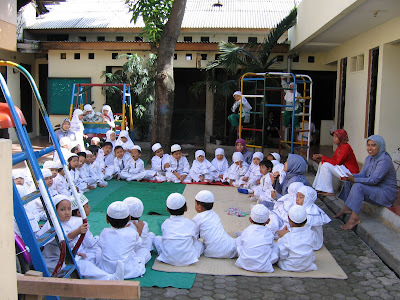 So Obama may have attended a school in Indonesia and may have even entered a mosque. What should we make of this? That he is a Jew-hating extremist moron that will enter the White House wearing a suicide vest? Hardly 100 years after the Dreyfus trials, we are seeing the similar strains of innuendo being thrown around. I'm no fan of Obama or MacCain or Clinton any any other Presidential hopeful. But this kind of nonsensical ethno-religious lunacy is poisoning American politics. It also isn't doing alot for Jewish-Muslim relations. 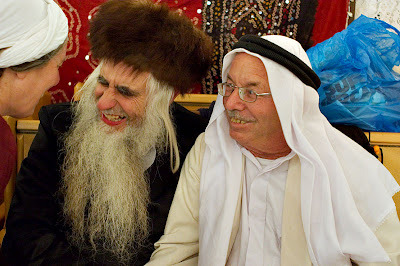 Then again, some Jews are as disinterested in such relations as some Muslims. 3. Age & Guile Beat Youth, Innocence and a Bad Haircut by PJ O’Rourke. I also jotted down some notes while everyone else in my heat (I was last) was performing. As I soon found out, performing comedy is no joke. I went out on stage and thought I was just engaged in some animated public speaking. No way. This was much different and much harder than I expected. I walked off that stage wondering why I had bothered. Thankfully, I was lucky enough to have an MC (Corinne Grant) who was very supportive and encouraging to all us amateurs. Quite a few of those in our heat sounded like seasoned professionals who had done this on many an occasion. IN the Sydney Opera House car park last Tuesday night, comedian Wil Anderson cried. Alone and exhausted after his one-hour stand-up performance, the man once labelled "the rock star of Australian comedy" was disappointed that, during the show, he'd lost concentration. "I skipped a bit, then as I was telling another joke I realised what I'd forgotten," he tells Inquirer. "And then you're playing catch-up. You're like a kid waiting to get in the skipping rope, waiting for the rhythm, waiting to find the place where you can get in. After 12 years, that really disappointed me." After its Playhouse run, Anderson's new show BeWILdered moves to Melbourne for the International Comedy Festival. Its creator is still moulding the show and trying new things, but he says that's no excuse for not "executing it the way I wanted to execute it". "People pay 35 bucks to go to the Sydney Opera House to hear you talking, they're taking a night out of their lives," he says. "I see that as a real challenge and a privilege as a performer, and if I don't do it in a way I expect of myself, it genuinely upsets me." Welcome to Australian stand-up in 2008, a thriving sector where stress, tension, tears and late nights are all part of the comedy journey. But with audiences hungry for the next laugh, the next new show, the next big thing, performers are under intense pressure to produce. There is also a lot more competition, and comedians have to work harder to create original material and find a performing niche. Added to that is the art form: personal, easily scrutinised (if your audience doesn't laugh, you're not funny) and with nothing - not even a few props - to hide behind. "They say the biggest fear people have is public speaking, they fear it even more than death," says television host Rove McManus, whose new show opened this week at the Adelaide Fringe. "If the biggest fear people have is public speaking, imagine that plus the fact you are speaking to a complete bunch of strangers, and now you've got to make them laugh." But if you are successful, it's a bull market. These days, Australia's top comedians can stage sell-out shows at the Sydney Opera House, earn big bucks as FM radio hosts and be mobbed in a suburban shopping centre by teenagers who love your eight-part TV mockumentary set in a suburban high school. During a recent chat about celebrity culture, Summer Heights High creator Chris Lilley recalled a promotional visit to Chadstone in Melbourne's east last year. Lilley was overwhelmed by the vast crowd that had gathered to meet him. What really surprised him, though, was the queue of people wanting so see Celine, the chihuahua who belongs to his Mr G character. "Celine turned up at Chadstone and was a massive hit," Lilley says. "I have some funny photos of her being surrounded by adoring fans. People were even lining up to have their photo taken with her. It was a very surreal moment." Stand-ups are everywhere: Anderson, McManus, Dave Hughes, Glenn Robbins, Wendy Harmer, Adam Hills, Peter Helliar, Corinne Grant, guests who appear on shows such as Thank God You're Here, Good News Week and Spicks and Specks, breakfast radio, afternoon radio, plus the opportunities afforded by award nights such as the Logies, the Arias and the Melbourne International Comedy Festival: the gigs are plentiful, allowing Australia's funny men and women to build secure fan bases. Ted Robinson, producer of the Ten Network's Good News Week, has been working in TV comedy since the early 1970s. One of the big differences between today's comics and the earlier but equally talented group is "it's possible to make it a career in comedy now, whereas when we all started it was a job for dropouts and layabouts". Another factor, Robinson says, is comedians' access to different media outlets. "It's just kind of spun off into the ether and become this pan-global art form that is just everywhere, and it's extraordinary," he says. A growing appreciation of comedy among young people is another factor. "There's a whole generation who are getting their cultural critique and commentary through comedy," says Sue Turnbull, associate professor in media studies at La Trobe University. "Programs like The Glass House, Good News Week, The Chaser's War on Everything, that's where young people get to know about public figures, public events." Turnbull cites Kevin Rudd's decision during last year's election campaign to go on Ten's Rove as an example. "Young people felt largely disenfranchised by what was going on and (John) Howard didn't talk to them at all," Turnbull says. "They found these comedy shows and the criticisms directed at the government as a way into understanding John Howard. By appearing on Rove and generally displaying a sense of humour, Kevin Rudd was able to connect with them." Various YouTube comedy sketches featuring Rudd, including the widely circulated Kevin Rudd Chinese propaganda video, also did no harm to the then Opposition leader's profile. Australian comedians have also found favour with commercial TV and FM radio executives. "Like with anything, the market weeds out what's necessary, what people want," says Anderson, who co-hosts Triple M's afternoon show with Anthony Lehmann. Each weekday Anderson and Lehmann go up against Fox FM's success story Hamish Blake and Andy Lee. Anderson relishes the FM radio culture that celebrates comedians. "If Hamish and Andy are doing really well on radio, then other stations want a Hamish and Andy," he says. "Every time a comedian is successful, it's good for other comedians. And the effects of something like Chris Lilley or the Chasers are enormous. Networks say: 'Hang on, smart comedy can work.' So the next time you walk into a meeting with a smart comedy idea you want to pitch, suddenly everyone's very receptive." The Adelaide Fringe and the Melbourne International Comedy Festival have also helped spread stand-up's popularity. The comedy festival's recent growth spurt highlights the public's increasing regard for the art form: in 1998, 177,858 people paid to see their favourite comedians. In 2007, the crowd had increased to 400,003. Box-office takings also jumped, from $3.03million in 1998 to $9.2 million last year. Adelaide's Fringe wraps up tonight and organisers estimate more than 800,000 people will have attended the free and ticketed events. Comedy made up 120 of the Fringe's 543 shows, making it the most popular genre. (Following closely were visual art with 111 events, theatre with 104 and music with 101.) Comedy's presence in fringe festival programming prompted one observer this week to describe it as "the cane toad of fringe festivals because it's so cheap to produce". Melbourne International Comedy Festival director Susan Provan argues there is "a perception that is the section of the program that sells more easily, that people will go to the comedy section first because they expect it to be accessible or fun". She rejects the cane toad theory. "There probably is a lot more stand-up comedy going into festivals these days, but there's a lot more visual arts and everything else, too. Then there is the role of new technology. The number of hits to the MICF site, for example, has increased from 22,000 visitors in 2003, to 605,829 visitors in 2007. YouTube, MySpace and other forums mean people such as Sydney-based comedy critic Dom Romeo have many more stand-up performers to watch and assess. "The internet is even more interesting because it's harder to be across everything, but there's actually more material that's pleasing to you, and that's a good thing" he says. Romeo, whose website www.standand deliver.blogs.com covers the comedy scene, says YouTube means "anyone with a video camera, a good idea and some mates who have an afternoon to spare can get something up on the internet that may just get a following. That may lead to television, or it may just mean ongoing appearances on the internet, which is OK, too". But is there a danger that too much comedy will dilute the quality of work? Is stand-up ubiquitous? "I personally don't think so," says British comic Stephen K. Amos, who is touring the Fringe and Melbourne festivals. "I think what we're seeing is that everyone has a stressful life, people who work nine to five have stressful jobs, and they want to let go, they want to forget. If that means listening to someone who's funny, or who has a different take on things you've already thought about, then that's a very good thing." Veteran comedian Grant agrees. "Funny's always funny," she says. "People always want to laugh, as long as there are good quality performers out there." Grant says stand-up's popularity goes in cycles. "When comedy's going well in TV and radio, it tends not to go so well in the smaller clubs." Good News Week's Robinson agrees. "It's paradoxical, and I don't know why, but my understanding of it is that there has been a diminution of clubs and pubs that are doing comedy," he says. "I've been a bit concerned about where is the next next wave coming from if those venues aren't available for them. But, on the other hand, the proliferation of comedians into radio and television, and into shows like ours, is fantastic." He adds: "I know these things come in waves and if you create a vacuum something will come along to fill it. That's also partly why comedians are finding new ways to present their material, like going into the Opera House. A few years ago the only kind of comedian you'd expect to see at the Opera House was Billy Connolly or Dave Allen." Robinson has great faith, however, in events such as the Adelaide Fringe and the Melbourne comedy festival that nurture new talent. "It gives younger ones a chance to spread their wings longer than a five-minute routine in a pub. Suddenly they have an hour, they have to craft something with a beginning, a middle and an end. It's a great way for them to extend themselves in a way that makes them think about the form, and what they can bring to it that makes them different to everyone else (who is) performing in 20 other rooms around the city." The thing about standing up and performing is that you cannot just rely on the power of wordplay. With the written word, the words remain static on the page. You can re-arrange words and play games with them, and you know (or at least hope) that the voice inside the reader's head will read the words in an amusing manner. Especially if you bring in an idea completely out of left field. One writer who is the master of this kind of humour is Peter Ruehl, who writes a column twice a week in the Australian Financial Review. Ruehl comes up with these comparisons that just sound so delightfully irreverent. In one column, he compared something to "booking Mecca for a Spice Girls reunion". Some months back, he managed to find some way to drag Eminem into just about each column, always in the most unexpectedly funny way. But performing comedy requires enormous energy and impeccable timing and placement. So much of it is pure theatrics. Little wonder so many upcoming comedians combine stand-up with acting - Maz Jobrani and Ahmed Ahmed come to mind. Of course, some people are fortunate enough to be able to combine both performed and written comedy. You only have to read her columns in the New Statesman to know that Shazia Mirza is master of both. John McCain isn’t the most conservative person in the Republican Party. Unlike many of his colleagues, McCain doesn’t always play the role of cultural warrior. But back in late February, McCain needed the support of one conservative pastor to beat a presidential rival, another conservative pastor named Mike Huckabee. The man who helped McCain on that occasion in the Ohio primary was one televangelist, Rev Rod Parsley of the World Harvest Church of Columbus. McCain on that occasion described Parsley as his spiritual guide, while Parsley described McCain as “a strong, true, consistent conservative”. 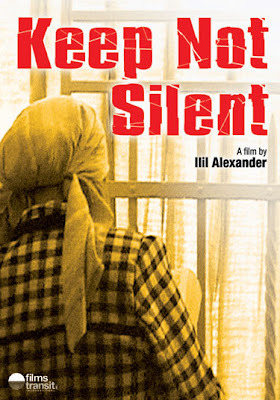 The leader of a 12,000-member megachurch, Mr Parsley has written several books detailing his fundamentalist views, including the 2005 Silent No More. In this contentious work, Mr Parsley castigates homosexuals, abortionists, the entertainment industry and civil libertarians before turning his attention to the perceived threat to the United States from Muslims. “I cannot tell you how important it is that we understand the true nature of Islam, that we see it for what it really is,” he writes. “In fact, I will tell you this: I do not believe our country can truly fulfill its divine purpose until we understand our historical conflict with Islam. It is not the first time that Mr McCain’s desperation to win over the religious right has landed him in trouble. The Republican had already angered Catholics by cosying up to John Hagee, the leader of an evangelical Texas megachurch who has described the Roman Catholic Church as “the great whore” and a “false cult system”. However the row did not prevent Mr McCain from storming to victory in all four March 4 primaries and laying claim to the party nomination. Mr McCain had already been forced to dissociate himself from one speaker at the rally, a conservative talk radio host who repeatedly stressed Mr Obama's middle name "Hussein" as he introduced the Republican candidate. Click here for further information on how Parsley has been the subject of a number of lawsuits over his secretive fundraising practices and the manner in which is church is governed. A little birdie recently told me you have started a new website called “Islamist Watch”. I’m so glad you have enough time on your hands to start all these wacky websites (such as Campus-Watch) extending your crazy witch hunt of all those less obscenely right wing than yourself. I was hoping you would add me to your list of “Islamists”. Seriously, having someone like yourself labelling me an “Islamist” or an “extremist” would add so much to my credibility. d. Regarding you and your ilk as a threat to civilisation as we know it. In relation to criterion d), it is my considered opinion that you are Usama bin Ladin’s greatest asset. Usama wants people like me to believe that my host country and other Western countries actively discriminate against me. UBL wants me to regard my host country as hostile to people deemed to belong to my religion, a religion you love to hate. UBL wants me to believe that the West is involved in a giant conspiracy against me and my faith. I refuse to believe this. However, when I read your writings, I see you desperately trying to prove UBL’s words true. You actively oppose those seeking a better deal for persons of Islamic faith or Muslim heritage. Yet you express no opposition to those using the same methods to seek a better deal for Jews or other persons of minority faith living in Western countries. You want Muslims to become second class citizens. For you, even a person’s partial Muslim ancestry (I specifically refer to US Democratic nominee Barak Obama) is enough to render them the target of your attacks. You also actively engage in spreading distortion and misinformation about anyone deemed Muslim. You continue to peddle the lie that Commissioner Innes of the Human Rights & Equal Opportunity Commission (HREOC) has made specific reference to Muslim taxi drivers refusing to service him and his guide dog, despite the fact that the good Commissioner has repeatedly made it clear that he never specified any religion. In short, you are providing ordinary Muslims with every reason to believe that UBL may actually have a point. You are UBL’s greatest asset. In fact, I’d be prepared to put money on the fact that UBL may actually be secretly donating to your websites. I’m a Muslim who wants to see Australians of my faith embrace the cultural symbols and institutions of Australia. I want young Muslims to be proud of their nation, to participate in its institutions, its politics, its arts, its cultural and public life. I want to prove UBL wrong. You, on the other hand, are determined to prove UBL right. 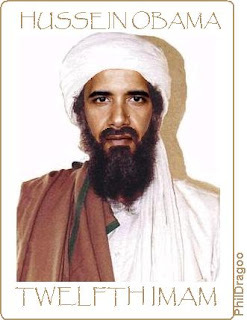 You are doing the work of al-Qaida. You are helping al-Qaida by spreading innuendo about Muslims and their institutions in the West. You and your colleagues promise that you will “meet privately with government officials, editors, producers, academics, and others to explain the real nature of such Islamist organizations”. You will try to convince them that “the Islamists currently dominate the Muslim political scene in every Western society, without exception”. In other words, you will actively work to convince as many non-Muslims as possible that Muslims are all closet extremists and fifth columnists. On that basis, it only makes sense that you include me in your list of Islamists in much the same way as I would include you in my list of racists, neo-fascists, extremists, xenophobes and far-Right fruitloops. Heck, even Christopher Hitchens agrees with me. So please, Mr Pipes. Please include me on your list. OK, I admit I bag the Centre for Independent Studies from time to time. But one excellent initiative they put on is the Liberty & Society conference, a weekend program in which they invite young students and professionals to learn about classical and neo-classical liberalism. I attended one of these conferences some years back, and I still have the notes. You may not agree with the CIS's take on everything, but this course really gives you something to think about. More importantly, you get to meet some awesome intellects. I remember meeting these 2 rather funky individuals named Suri Ratnapala and the distinguished political scientist Chandran Kukathas (whose paper on multiculturalism should be required reading for anyone with an interest on the subject). One of these guys apparently got away with being the only dude to teach women's studies at an Australian university. Quite an achievement! I strongly recommend this course to anyone who wishes to learn more about liberty.